Yes, we all know the drill. Last October, Microsoft CEO Satya Natella — in his portrayal of the anti-Ballmer in a 180-degree bootleg turn of a statement — said that Microsoft loves Linux. Most recently, we have a report from PC World saying that as of the latest offering from Microsoft, Windows 10, hardware makers now have the green light to enable UEFI Secure Boot without giving you a manual kill switch, as they are required to do with Windows 8 systems. If that happens, forget about booting anything other than Microsoft-approved operating systems on these locked-down PCs. And while it remains to be seen whether hardware manufacturers lock down their hardware, history shows that manufacturers are generally at the beck and call of Redmond when shipping out their products. So with the exception of Canonical and Red Hat — both Ubuntu and Fedora have signed keys from Microsoft for their boot loaders — the rest of you who aren’t Ubunteros or Fedoristas could very well be out in the cold. This could be something. This could be nothing. It remains to be seen. Regardless, it’s time to think seriously about buying hardware that is built for Linux, from manufacturers like ZaReason, if you want your choice of distros, or System76, if you want your choice of distro (as long as it’s Ubuntu) — as you should be doing already, of course. The return of Solus OS…sort of: Ikey Doherty once developed a distro called Solus OS, which many folks used and which I know was in the good graces of fellow FOSS Force correspondent Ken Starks, who made it an option for his Reglue computers. Ikey had to drop the original development for daily-life type reasons, but later started contributing to Evolve OS. According to an article this week in Softpedia, when the United Kingdom’s Secretary of State’s office notified Evolve OS that their name infringed on a trademark, lo and behold Evolve OS took the next evolutionary step and became Solus OS, a name well within the new Solus OS family. Problem solved, sort of. 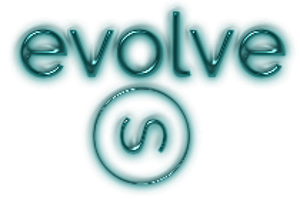 Unlike the original Solus OS, which was based on Debian, Evolve OS (and now the new Solus OS) was built from scratch, allowing the developer and the development team more control over the process. So any connection between the old Solus OS and the new Solus OS is purely coincidental. On the horizon: Coming to a distro near you — LibreOffice just released a minor update in the form of 4.4.2, which would be great if you were a muscle car from Oldsmobile from the ’60s, but has new features included … Fedora 22 beta is scheduled for mid-April, now that the alpha has been out for awhile, and we’ll update you on that when it happens … Looking way down the path, Linux Mint reports in its monthly blog that the release candidate for LMDE 2 “Betsy” was announced, and a stable release is forthcoming. That means this progress has paved the way for some of the work planned for Linux Mint 18, which you’ll see in 2016. That’s about it from here. See you Wednesday. The so called “relationship” between Microsoft and Linux was never real to begin with. Granted, there were Linux servers running in the Redmond camp, but in general? Microsoft is only in this game…for Microsoft. Any features or benefits that a person gains from using Microsoft is secondary, Microsoft’s number one concern is making money for Microsoft. Those in the Linux community who were hopeful for some kind of melding of the minds, will be sadly disappointed. In the long run we Linux users should just concentrate on getting the message out to the masses, and not worry too much about Microsoft’s shenanigans. Don’t worry, we’ll get past the UEFI issue. I mean we got past all the OTHER tactics they’ve used to keep us back…(sorry for the rant but its just I’ve had enough of MS’s pathetic-ness! LoL! No truer words were spoken, my friend. It will be interesting to see if the “Linux friendly” hardware makers like Dell (don’t get me started here) keep the ability to turn off Secure Boot or whether they remove that option. I still stand by the statement that we should be supporting Linux-based hardware vendors in the first place, if we are able. Exactly! I am on the verge of getting my FIRST totally designed and Built-For-Linux desktop from System76….and after I get it I’m thinking about a secondary laptop from ZaReason…..just gotta save those pennies and keep focused! Just as a heads up, Evolve OS was forked from SolusOS 2, so it is not a coincidental relationship, its a direct line, fully intentional. Re: “daily-life type reasons,” – not at all true. The old SolusOS was killed early to prevent destruction. It was being killed from the inside out. “started contributing to Evolve OS.” – I am the founder and owner of what was called Evolve OS, which is now once again Solus. Thanks for clarifying that, Ikey. The Softpedia article wasn’t entirely clear on these issues and, as a weekly wrap-up, I was just going by what I read there (with the intention, of course, for folks to go there and read more). My apologies. Wow Mike!…that looks awesome! I might ave to get one of those just on principle alone! Can you imagine how fast and clutter-free this Librem laptop must run? I wonder if they’ll ever do a desktop? (I’m big on desktops since its how I “train” myself of Linux server systems!) Will definitely be keeping an eye on this company!! Thanks for sharing!! Please don’t forget PogoLinux. They were doing this before ZaReason or System76, and PogoLinux’s support is outstanding.